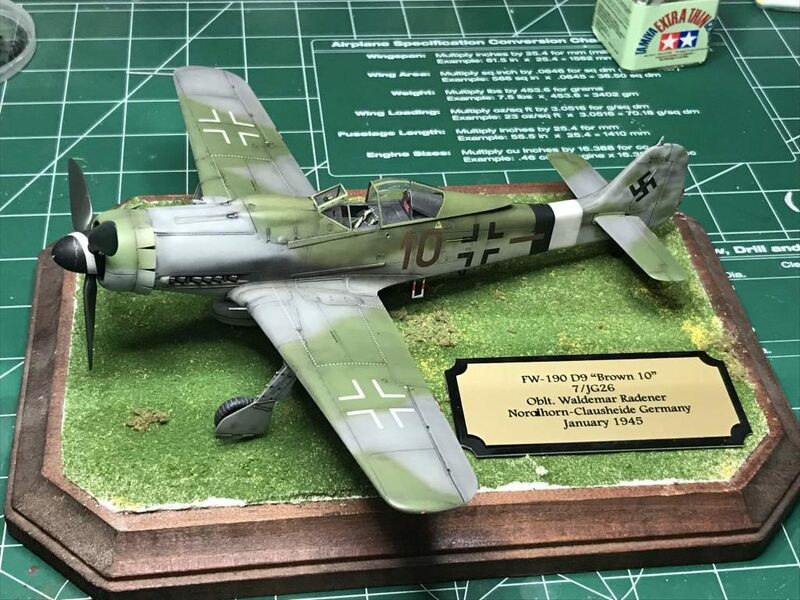 Just finished the Tamiya 48 scale D9 finished with Montex Masks for Brown 10. Finished with Gunze acrylics. Not much to be said about the kit, it’s Tamiya. For a kit made in 1995 it holds up very well. That right there is a beautiful build AND display, I must say! 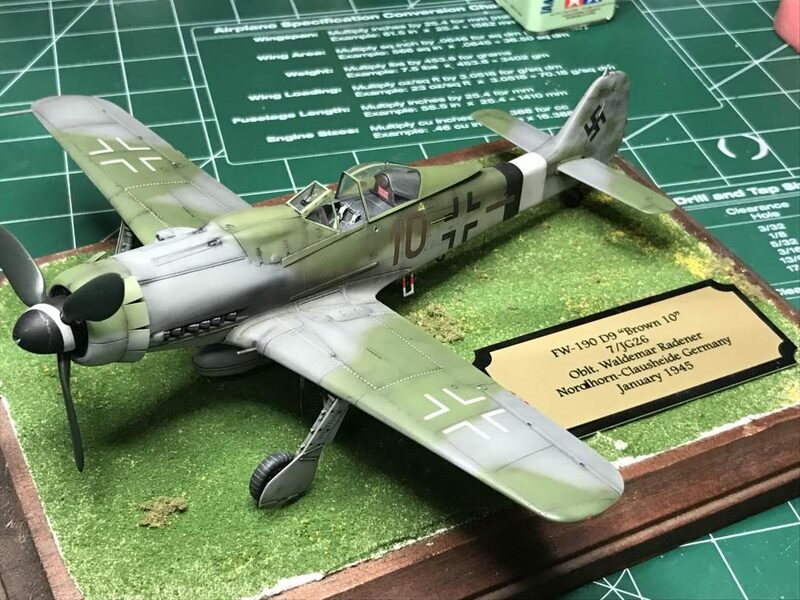 Andy, that’s a good looking longnose 190D, and the base and nameplate make it look really professional. 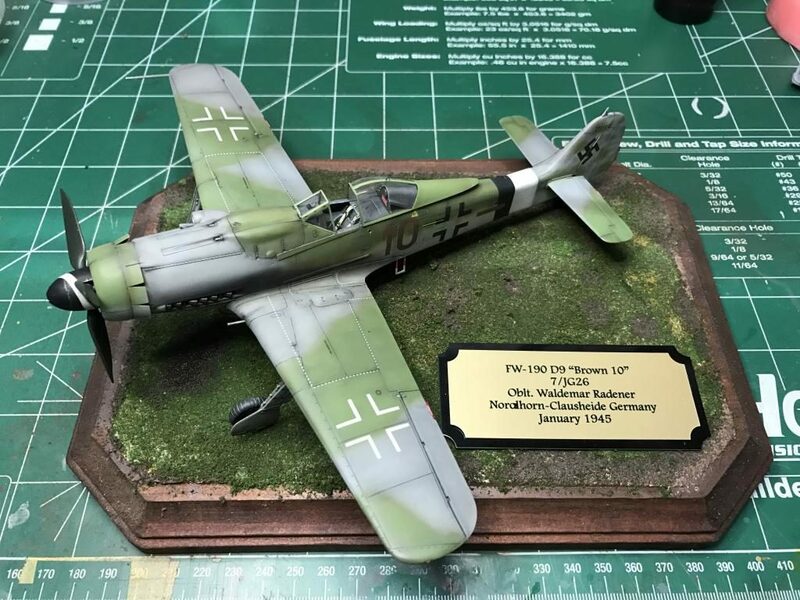 I really like everything about this one………… The Tamiya 190’s are still my favorite. Yours looks fantastic. 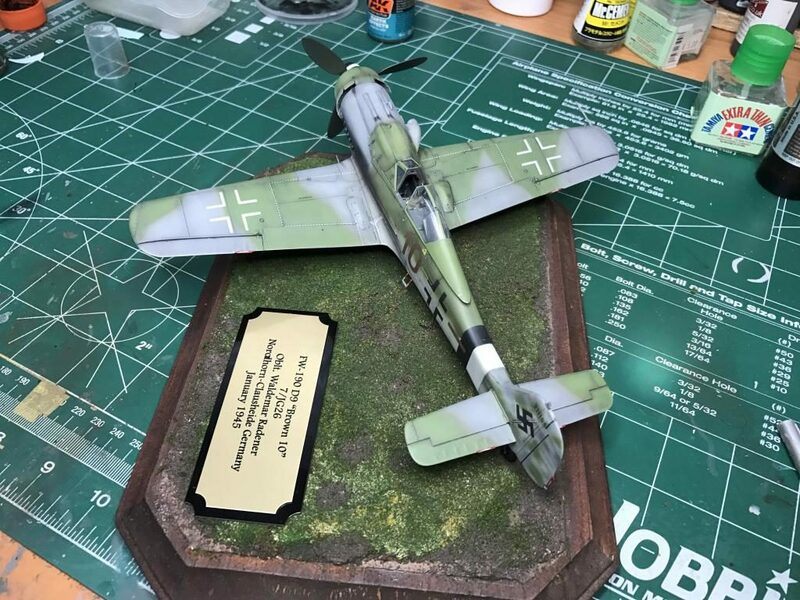 WOW, What a beautiful model! 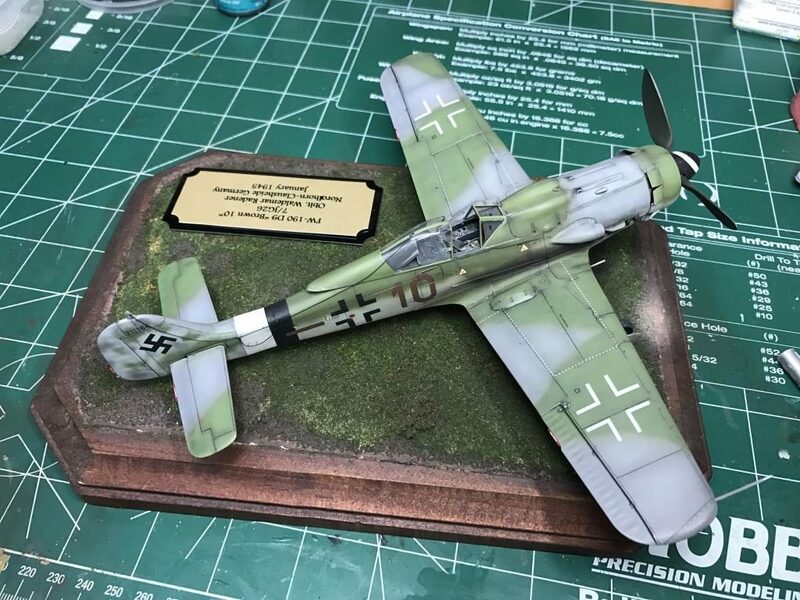 Weathering, finish, paintwork…Just fantastic Andrew!! Andrew – outstanding! It looks real! Andrew, This is wonderful, well done. Everything about this build is superb… simple as that. Love the colours n contrast. 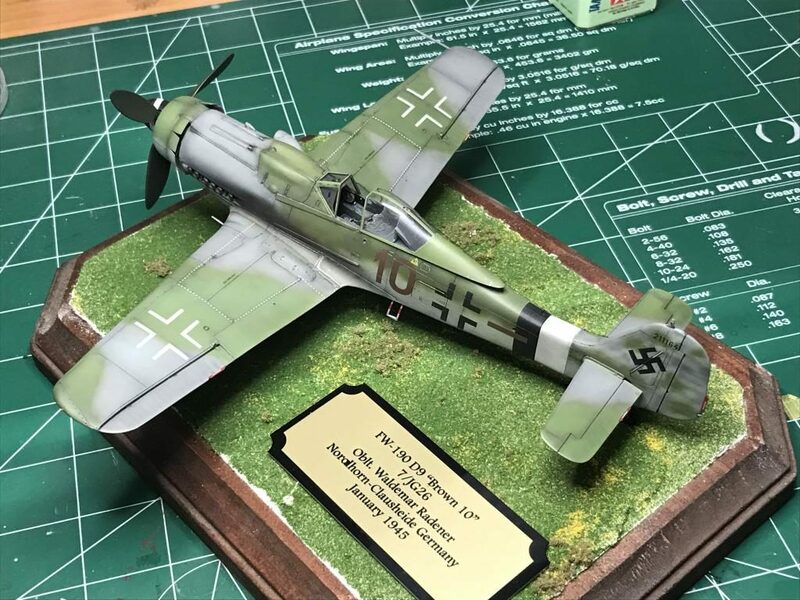 I thought I’d seen enough FW 190s but this one is an exception, really well done. 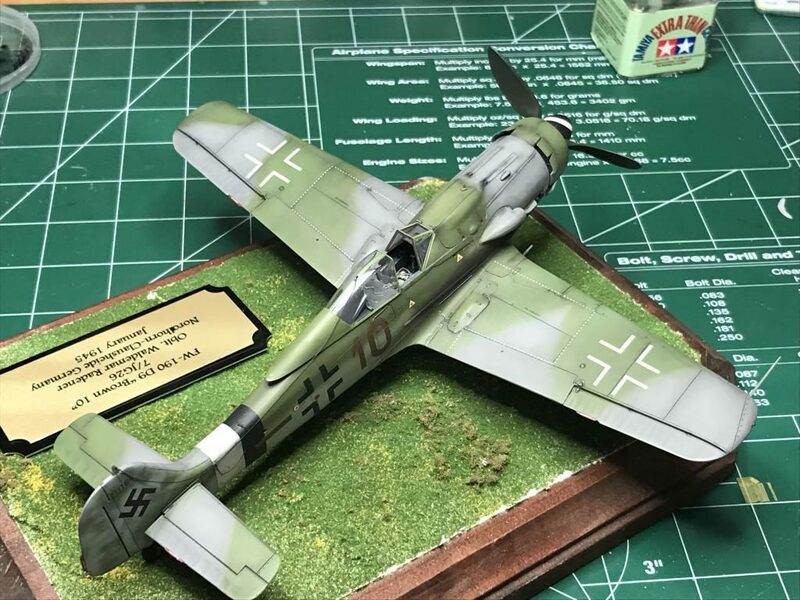 Great work Andrew – painted and weathered very nicely. 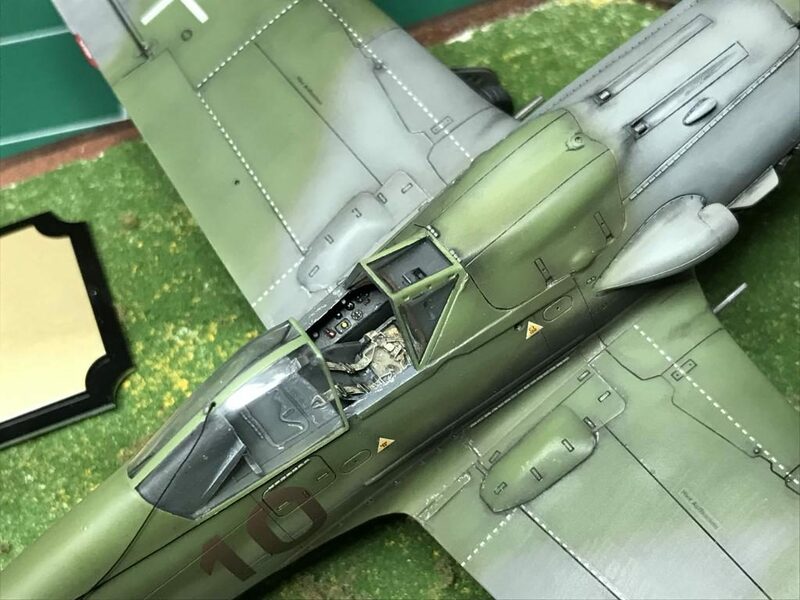 Love the paint chipping in and around the cockpit. 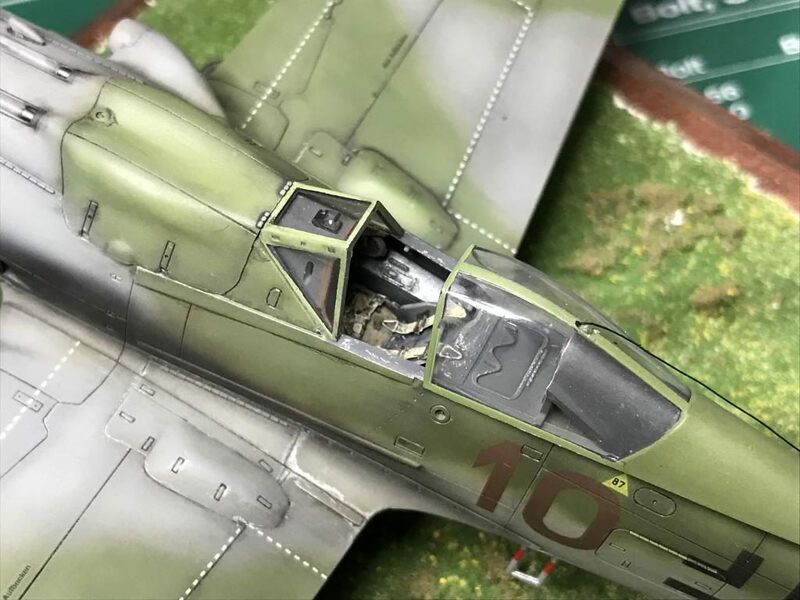 It’s also a great scheme on a 190. Ah, well, you’ve built the fatally flawed Tamiya Dora with the too small wheels and short L/G legs, blah, blah. ;P! 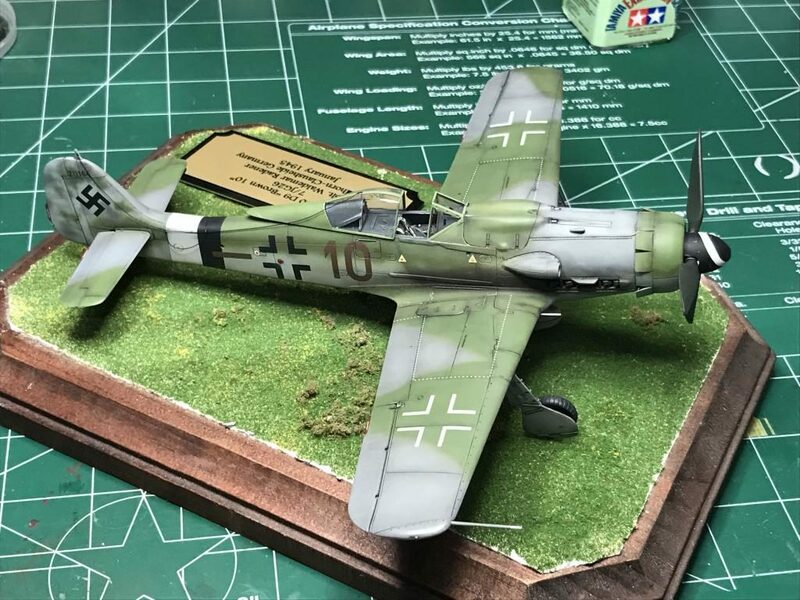 Really nice job, excellent finish & fine application of the masks. As to the fiddley & fat tailed Ed kit…. Bah!…. Humbug! Your Tamiya is lovely. 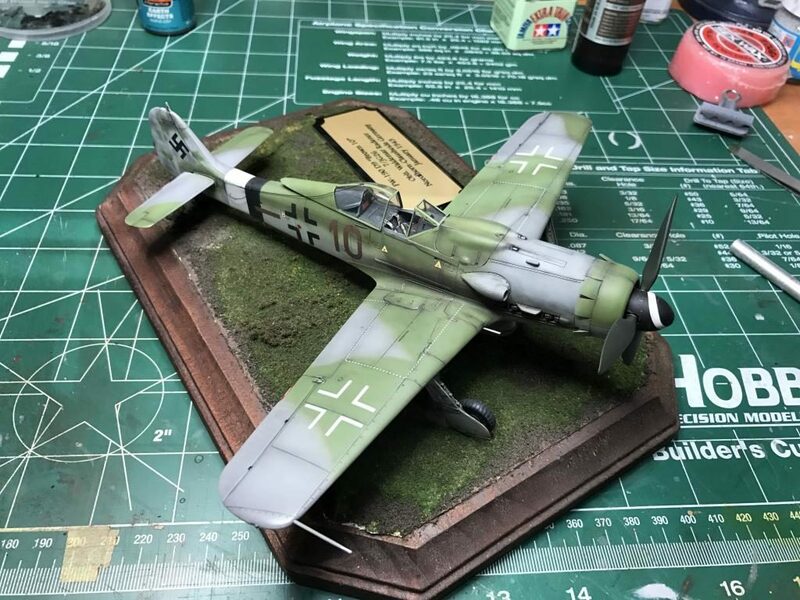 Not german fan, but big fan of nicely built kits! Your one deserves big applaus! Well done!